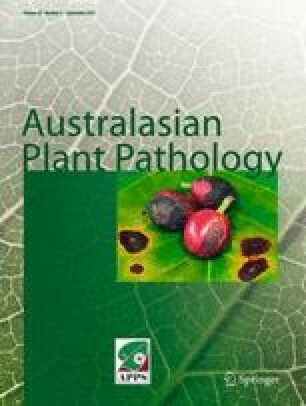 An experiment was conducted to study the efficacy of contact and systemic fungicides and biocontrol agents in controlling Phomopsis canker disease of tea under field conditions. Among the various treatments, soil application and wound dressing of biocontrol agents was found to be superior to fungicides in controlling Phomopsis canker. Dressing wounds with contact fungicides such as copper oxychloride and mancozeb was found ineffective whereas drenching soil with systemic fungicides such as carbendazim and contaf was moderately effective. Various treatments healed wounds to varying degrees and improved plant health. The bud break, tipping weight and green leaf yield were also increased to some extent in plants after treatments. Among the biocontrol agents tested, Gliocladium virens was better than Trichoderma harzianum in terms of curing cankers and increasing yield potential. The initial carbohydrate level of 9.38% increased with various treatments and was increased to 15.18% in cut-across pruned plants treated by soil application and wound dressing using G. virens. Similarly, the initial carbohydrate level of 9.15% increased to 11.89% when rejuvenated plants (pruned to healthy tissue) were treated with G. virens. In the case of the untreated control, the canker size increased from 6.37 by 2.24 cm to 8.57 by 3.17 cm and the plants appeared unhealthy with yellowing of the leaves and stunted growth associated with heavy flowering.